Finding a gift during the holiday season can be stressful. Depending on how funny, personal or “safe” you want to play it, there are gifts that encourage learning Spanish. Gifts that reinforce learning the language and culture can be purposeful, practical, fun and sentimental, and below is a gift guide for anyone looking for some inspiration for the perfect present that will crack a smile on any Spanish student’s face. 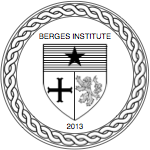 Helping the Spanish student in your family can be as simple as giving a gift card to Berges. In addition to the group classes offered at multiple times and days throughout the week, there is also the option of taking private lessons. If you know that the Spanish student in your life could use some more help in a certain area, taking some private lessons can help them excel in the language. Check out the website for more details about the gift cards here (NYC) and here (Chicago). There are numerous podcasts available in Spanish. Tune in to learn grammar, listen to news or for original stories and commentary. While there are free and premium versions of podcasts, the premium versions give access to supplemental material, like transcripts and worksheets. A premium audio subscription to a Spanish-speaking channel is a nice way to keep your student inspired and engaged. A great gift for an avid reader is classic Spanish literature. These books will help the language learner in their comprehension of the Spanish language and will help the reader become better acquainted with the culture. There are many Spanish classics to choose from, and a simple internet search will steer you in the right direction about where to buy them. Some famous examples include “Pedro Páramo” and “Cien años de soledad”. A nice gesture would be to purchase the English version as a reference tool. Learning the language is half the fun, and since many students at Berges are motivated to learn Spanish for personal reasons, a cookbook is a nice complement to stir up more interest in learning about the culture. Many conversations involve food, so purchasing a cookbook written in Spanish can help the learner in your family not only cook new and authentic meals but understand more vocabulary in a different context. If a cookbook written in Spanish is too intimidating for the beginner, then one written in English will still provide a plethora of opportunities to create, experiment and become acquainted with new dishes and cooking methods. Sometimes it is hard to think of a gift that is truly personal, and one that you know will be well received. One option is to purchase a translated copy of a book (or a movie) that the gift receiver already loves. The best part about this is that, despite what reading and comprehension level the person is at, they can begin to read their favorite book translated in Spanish and still piece together what is happening. There is nothing like a book that gets right to the nitty gritty. As a funny gift or maybe even a secret snowman, books that introduce and discuss slang words in any language always provoke a hearty laugh. Look online or at a bookstore for books that cover slang, colloquialisms and cultural references. Board and card games are a popular activity around the holiday time and throughout the year. To make it more meaningful, finding games native to Latin cultures or that have been translated to Spanish make for a fun and interactive gift. Think of board games like Scrabble Spanish or card games like ¡Digame!. Make sure to take note of the level of difficulty when searching for a game. Finding current and interesting content in a foreign language can be tough in a world where time is scarce. Reading material that covers entertainment and celebrities and current events is useful to increase comprehension and vocabulary. Amazon is a good starting point to find potential digital subscriptions to local papers or magazines written in Spanish. For those who are studious and love their school/office supplies, think about putting together a collage of notebooks, index cards, sticky notes, writing utensils and maybe a reference book—say a verb conjugation book, pocket dictionary or something of that ilk. Though this may seem uncreative and uninventive, if you know the person’s style of study, you can customize the contents of this collage to include colored notebooks, a specific set of pens and so on. To get ideas, you can visit a stationery store. A trip to a Spanish-speaking country to put those language skills to use is a fun and exciting experience. Right now, it is the end of year and what better motivation to keep up the studying than having a trip planned in the near future to practice and enjoy the fruits of language labor. Katherine Sandler is a former student at Berges.